Busy with unique decor to the Ironique theme. Lots of ambience. The small front opens up to a seating out back and even more seating outside. Breakfast, brunch or lunch. All the usual suspects. They also serve dinner. Everyone. Gluten free and vegetarian options available. Eggs are free range. You want something a bit more unusual. 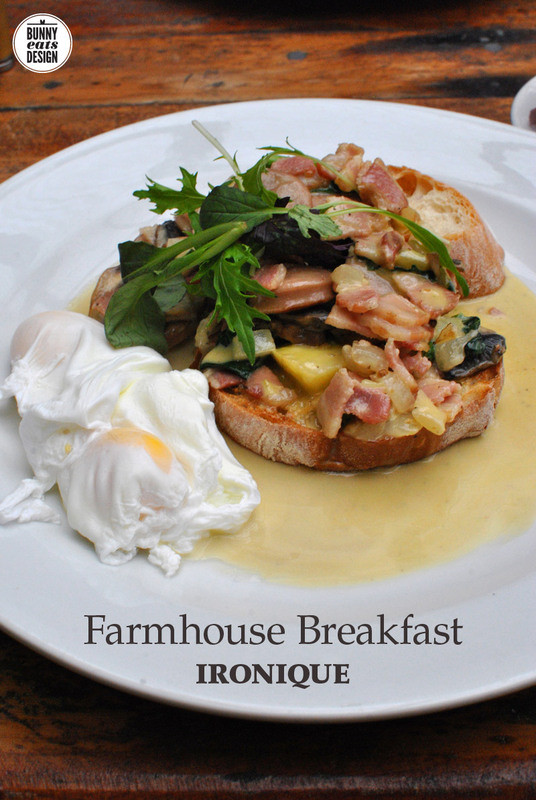 That farmhouse breakfast looks great but I gotta be honest, I’m a little put off by those dodgy looking eggs! You’re right, the eggs are a mess. The Koala could poach better eggs. What are those disks in the photo with sausage? 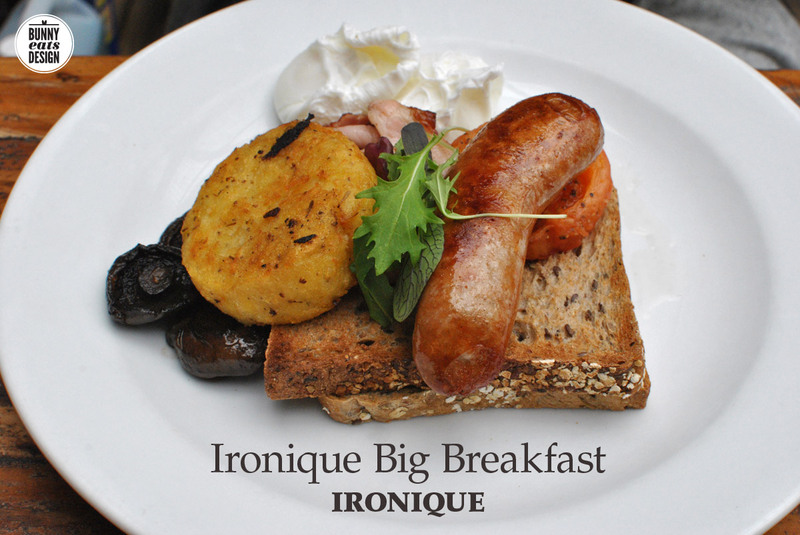 Do mean the mushrooms hiding under the hash brown? No, I mean those round things…potatoes? Ah yes, the round thing is a hash brown (potato).